However, the reporting in the Cleveland.com article did not disprove the core of the story below: that a source confirmed the Sheriff’s department investigation lacked evidence to support criminal charges. newsnet5.com’s article contained the county’s objections to our reporting on Wednesday, which Cleveland.com made to appear new when their article was published Saturday. The Cleveland.com article contained no original reporting on the sheriff’s investigation itself and the news agency did not “debunk” the newsnet5.com article in its reporting. A story in Saturday's Main News section about television news coverage of the Tamir Rice shooting investigation should have carried a more balanced headline. Rather than saying that the prosecutor and sheriff's officials ''debunk'' TV reports, it would have been more correct to say they ''dispute'' the reports. Cleveland.com has yet to issue any correction. The Cuyahoga County Sheriff's investigation of the shooting of a 12-year-old boy at a Cleveland rec center does not support that a crime was committed, a source familiar with the case told newsnet5.com. The Cuyahoga County Sheriff's Office has turned its investigation into the shooting of Tamir Rice over to the Cuyahoga County Prosecutor's Office. 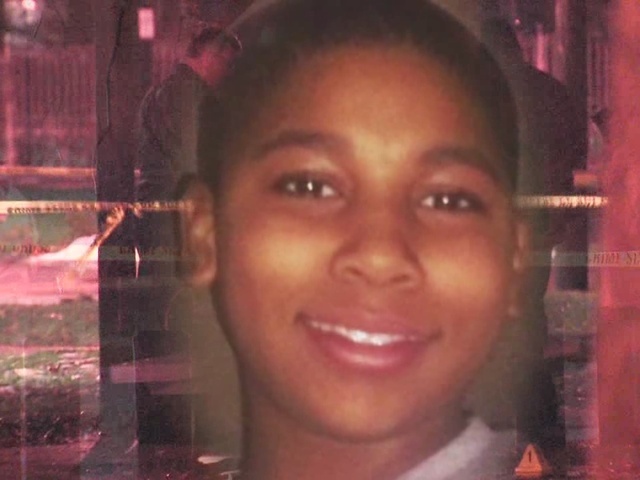 The source told newsnet5.com that the "investigation and evidence shows the lack of evidence to support that a crime was committed in the shooting of Tamir Rice." The Cuyahoga County Sheriff's Office said that they do not decide whether a crime was committed or whether a shooting was justified in cases like these; rather, they present evidence and facts to the Prosecutor and the Prosecutor decides whether to present charges to a grand jury. Today, Cuyahoga County Sheriff Clifford Pinkney transmitted the findings of the investigation into the death of Tamir Rice to the Cuyahoga County Prosecutor. The County Sheriff’s Office performed the investigation at the request of the City of Cleveland. The Sheriff’s Office received the file on February 13, and has performed an extensive, thorough and unbiased investigation. It is now up to the Prosecutor to determine how next to proceed. Cleveland Police Officer Timothy Loehmann fatally shot Tamir Rice last November at the Cudell Recreation Center. Tamir had an airsoft gun, which shoots non-lethal plastic pellets. Cleveland Police Office Frank Garmback drove the patrol car involved in the incident. EDITOR'S NOTE: This story originally reported that the investigation found that the shooting was justified and has been updated.